She went on to say that the big film studios were currently running around like blue arsed flies trying to gear up to release plenty of 3D content in time for Apple’s next launch. RCR reveals the story has also been backed up by a source at Foxconn – the factory that manufactures Apple’s devices – who have “spilled the 3D iPad beans” to several of their closest industry sources. It’s hard to determine to reliability of these sources, but together with recent Apple patent applications surrounding 3D technology, it’s hard to dismiss claims that the company is developing a 3D-capable device. 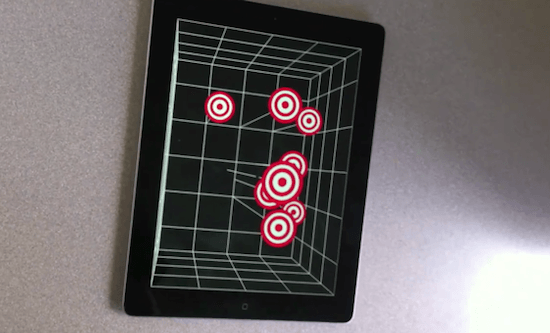 Some of Apple’s research has been into devices that achieve 3D effects with the use of head tracking. A separate rumor earlier this year from Japanese blog Macotakara cited sources who claimed that Apple’s LCD supplier was working on a small 3D display panel for the iPod touch, which would use head tracking to provide 3D without glasses. Apple’s touch devices have proven to be incredibly tough competition for handheld consoles like the Nintendo DS and the Sony PlayStation Portable; and many gamers are opting for Apple’s devices thanks to the stacks of functionality and extremely cheap software the iOS platform offers. Nintendo’s latest 3DS console is the first device to offer glasses-free 3D technology, providing customers with an incentive to choose the handheld over Apple’s iPod touch. If Apple starts offering its own glasses-free 3D devices, Nintendo could be left scratching its head once again.